Golf is Hard... We just made it harder! Watch Professional Golfer, Adam Hadwin and fellow athletes put a new twist on golf challenges! Capture the Flag Series Coming Soon! Adam Hadwin and Blair Hamilton will be swapping their clubs for a Baseball Bats for this challenge. Who will get closest to the pin? Watch them hit it out of the Waste Management grand stands at the famous 16th hole! 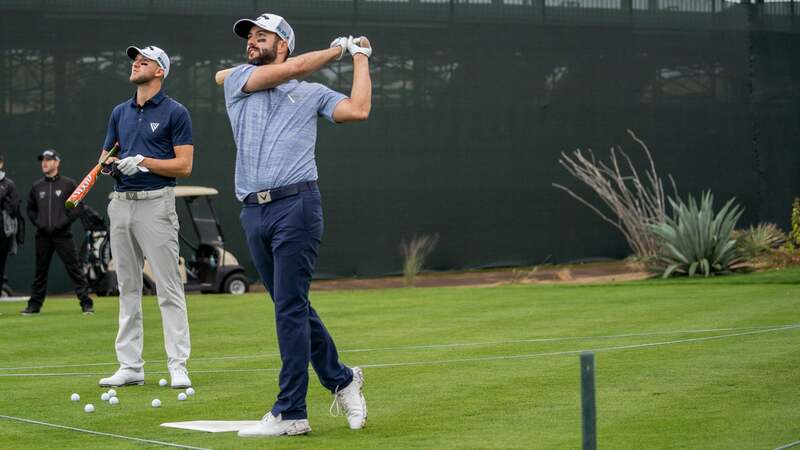 Adam Hadwin takes on his first challenge with Ryan Williams, as they play a game of golf tic tac toe on the 15th hole at TPC Scottsdale. Adam takes his clubs to the pitch with Phoenix Rising Soccer Player Jason Johnson. Watch them challenge each other to knock targets out of the net! Adam Hadwin, Blair Hamilton, & Ryan Williams attempt to play golf with anything but a golf club. Watch as they use a mixed bag that includes Tennis Racket, Pool cue, Lacrosse Stick, Ping Pong Paddle, & a Shovel.